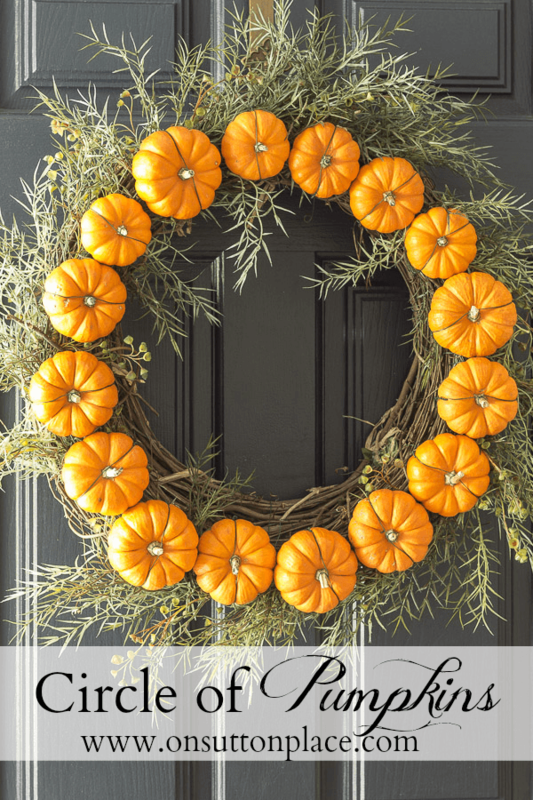 Every once in a while I get a harebrained idea that I can’t get out of my head…as was the case with this Circle Pumpkin Wreath. It started when I made my Mini Pumpkin Wreath. I attached three little pumpkin gourds to a wreath and called it a day. 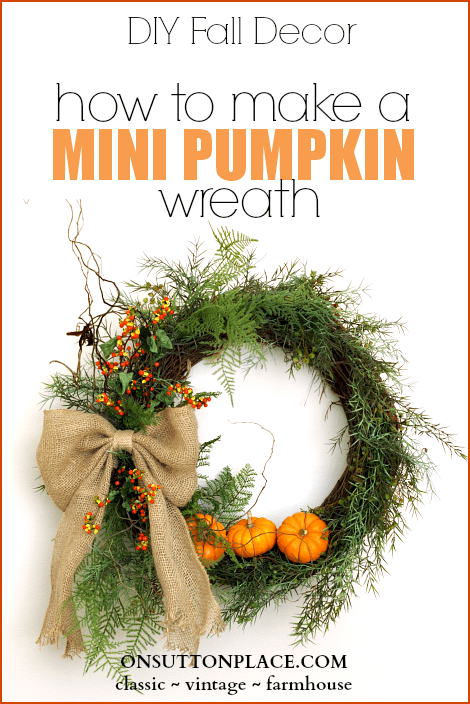 I kept thinking though that it would be so cool if the whole wreath was a circle of pumpkins. I was pretty sure my wire method would work so I decided to give it a try before my pumpkins turned to mold. I gathered all the little pumpkins from around my house. I repurposed the first pumpkin wreath by taking off the burlap bow and bittersweet but left on the rosemary garland. 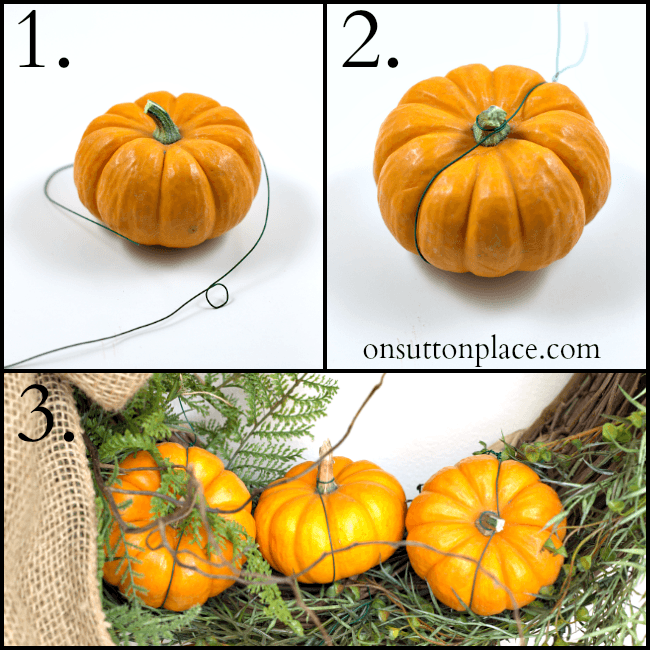 Here is my how-to on wiring the pumpkins to the wreath. I laid the wreath on my living room floor and put the pumpkins around the circle to make sure I had enough and that they fit. I then started wiring. I timed myself (seriously, I’m not kidding) and it took 20 minutes to wire on 16 pumpkins. Since I had stacked 2 grapevine wreaths to create more depth, I wired them together in a few more places. The pumpkins made the wreath pretty heavy but it’s all secured and ready to hang in there until Christmas! Even if you’ve only followed my blog for a short time, I’m sure you’ve picked up on the fact that I’m in love with wreaths. I enjoy being able to repurpose them and come up with new ideas for the seasons. I joked a while back on my Facebook page that my kids just might engrave this on my tombstone: “She made a dang good wreath.” It got more likes than anything I’ve posted for months. Ha! I got my pumpkins in the produce section of my grocery store. They came in a mesh bag and I got 7 or 8 pumpkins for $4.99. I bought 2 bags back in September and they are still going strong. The ones on this wreath should be fine because I prepared them before I put them on the wreath. 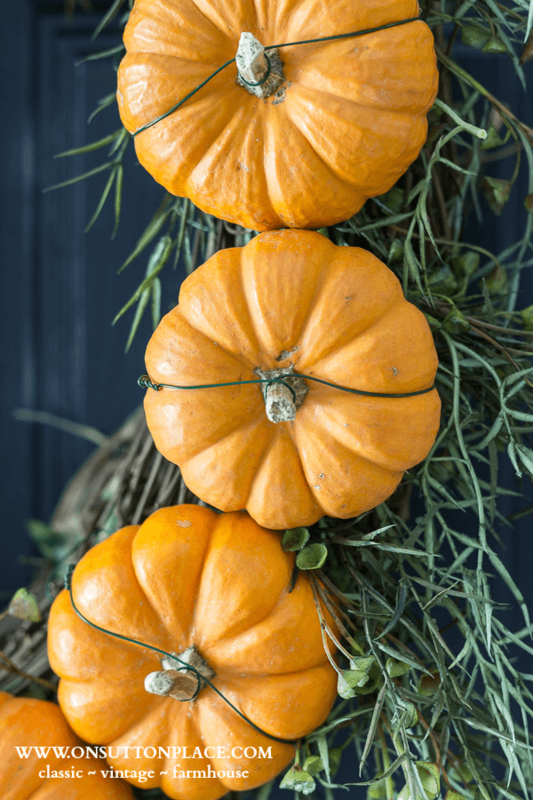 Click HERE to see how to make your pumpkins and gourds last longer…and not mold! Here’s wishing you a fabulous weekend. If you are raking leaves, stay warm. If you are watching football, I hope your team wins. If you are working, I hope you have a few moments to yourself to breathe in these last days of October. Whatever you are doing…enjoy. This is so creative & it would be a great addition to your Etsy store… just sayin!! That is really cute, Ann. I’ll share it on my blog’s Facebook page. You do make the most beautiful wreaths, Ann!! They are always unique and beautifully crafted. Love it! Another great idea. I so look forward to your blog! Happy Fall, and Happy Halloween! It’s fantabulous, Ann! And, I love how it pops against your beautiful black front door! Hi Ann, Your wreath is so sweet! Thanks for the great inspiration. 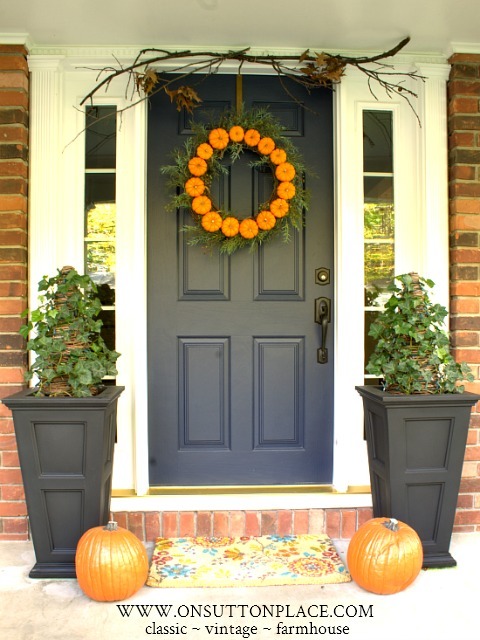 I’m thinking I will try this with fake little pumpkins. Love your blog. I use a product in my classroom called “Twisteez” it’s wire and comes in all colors you could even imagine. I love that wreath, Ann! Love your idea, electrical telephone wire comes in colors. 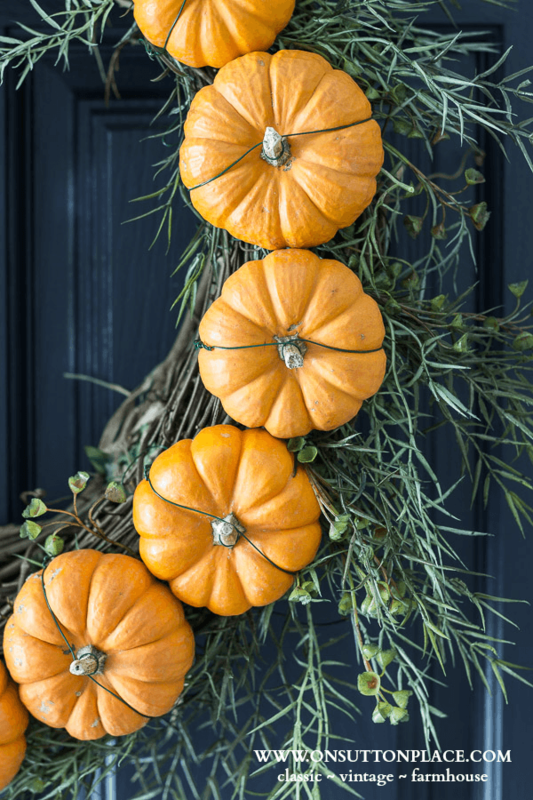 A very clever idea for a fall wreath. Well, I agree with your kids. You can make a dang good wreath! So adorable Ann! 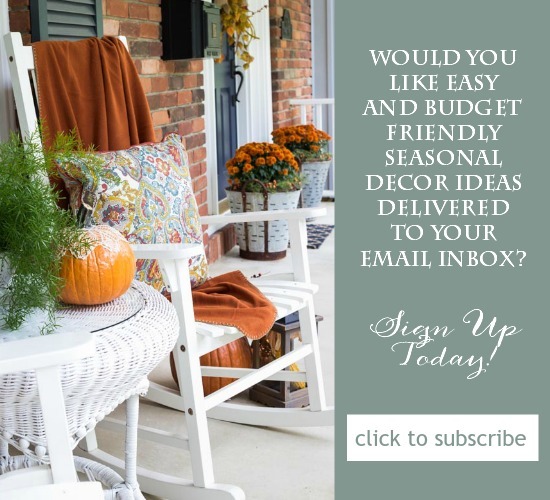 I love wreaths but never seem to get around to creating one – one of these days! Hi Donnamae! The greenery is faux. I got it at Hobby Lobby in the garland section. I thought it looked like rosemary so that’s why I bought it! 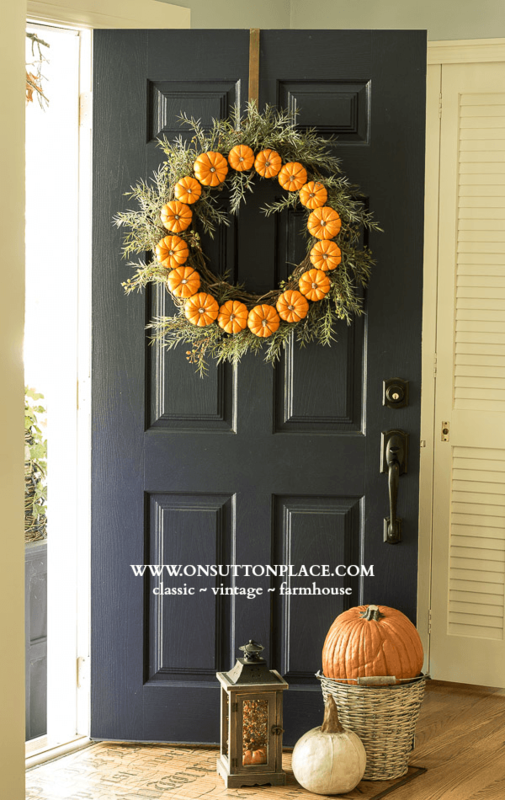 Pinned that fabulous pumpkin wreath. Now off to my first craft show of the holiday season. Looking for doll clothes for my granddaughter’s Christmas gift. Beautiful! What about using copper wire? It would blend in beautifully! I’ll be at the Halloween parade today for the grandgirls, it’s sunny but a little chilly! This made me laugh…thank you for that! I love your ideas! GREAT wreath! What if you used rusty wire? Oh yes that would be a great idea…thank you! I thought about just regular silver wire but thought the green would be better. Never thought of rusty! What a sweet wreath! I love the way you repurposed it!